Staunton Gambit - Chess Gambits- Harking back to the 19th century! 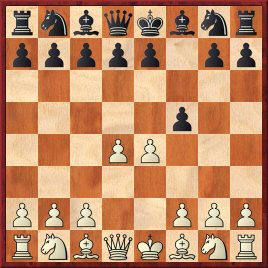 The Staunton Gambit is used against the Dutch Defence: 1.d4 f5 2.e4. It can be seen as a sounder relative of the Blackmar-Diemer Gambit (1.d4 d5 2.e4) since 1...f5 does not contribute to Black's development and leaves the black king slightly exposed, and 2.e4 aims to take advantage of this. The Staunton Gambit is sufficient for dynamic equality, and can provide White with a very dangerous attack if Black is not adequately prepared for it. White intends to take advantage of Black's weakened kingside. Black can try 2...e6, or 2...d6 (the Balogh Defence), both of which are playable, but concede a small advantage to White. Those who are interested in the Balogh Defence should check out the following discussion at the Chesspublishing.com forum. White's main options are 3.Nf3 Nf6 4.Bd3 fxe4 5.Nxe4, and 3.exf5 Bxf5 4.Nf3 with the idea of Nh4. After 2...fxe4 White has 3.Qh5+?! g6 4.Be2, which threatens mate after 4...gxh5?? 5.Bxh5, but Black can just play ...Nc6 and ...Nf6, forcing the queen to retreat. Thus White usually continues 3.Nc3. After 3.Nc3, 3...d5?! is met by 4.Qh5+ followed by 5.Qxd5, while 3...c6 and 3...g6 can both be met by 4.Bg5 or 4.f3. Here White should not play 4.f3?! (the normal response in the Blackmar-Diemer Gambit) because Black has the strong 4...d5!, striking out in the centre. Play usually continues 5.fxe4 dxe4 and then Black develops rapidly with ...Bf5, ...Nc6, ...Qd7 and ...0-0-0, leaving White struggling to prove much for the pawn. 4.g4?! is also insufficient after 4...h6!. Therefore White's best move is 4.Bg5. In most cases the idea is not to exchange on f6 and regain the pawn on e4, but rather to follow up with 5.f3, and get into improved versions of the 4.f3 line. For example, both 4...c6 and 4...g6 are well met by 5.f3, and Black cannot follow the development plan outlined in the note to 4.f3 d5, and White ends up with reasonable compensation for a pawn. Thus Black's most critical response to 4.Bg5 is 4...Nc6, intending 5.f3 e5. Against this, White's most promising response is 5.d5 Ne5 6.Qe2! ?, and there has been some good analysis of this line by Helmut Froeyman at the Chesspublishing.com forum, highlighting how sharp and unclear the line is. Instead the old main line with 6.Qd4 Nf7 leads to quite a quiet equality.